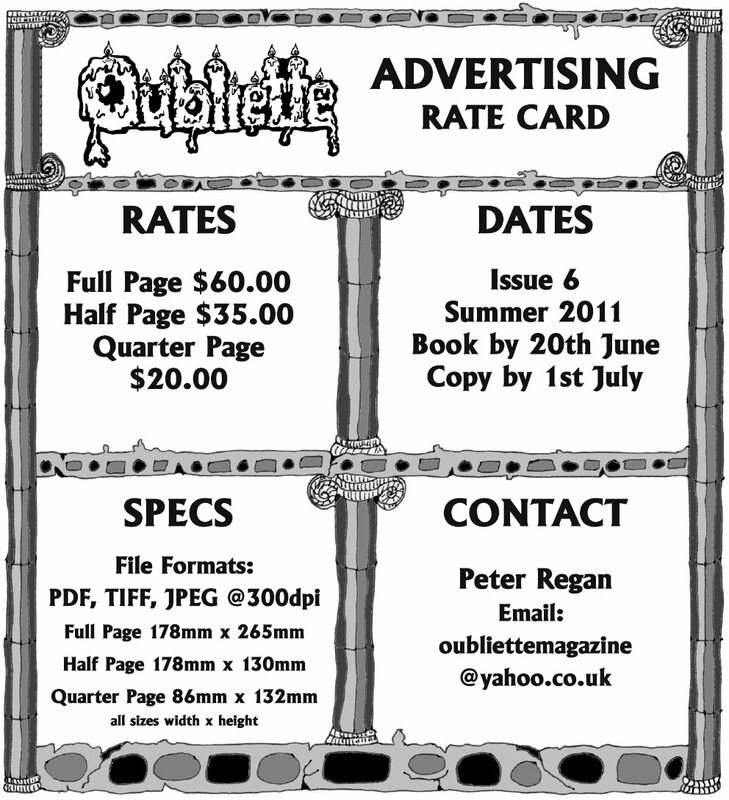 Book an Advert in Oubliette 6! After the success of the Oubliette Issue 5 giveaway, I'd like to continue to offer future issues as free downloads for several weeks after they come out. Issue 5 of Oubliette has reached over 800 people so far, which gives me every confidence that Issue 6 will have a circulation of over 1,000 copies - within one month of publication. Commencing with Issue 6, I have decided to offer a limited amount of space to advertisers interested in reaching our readership. 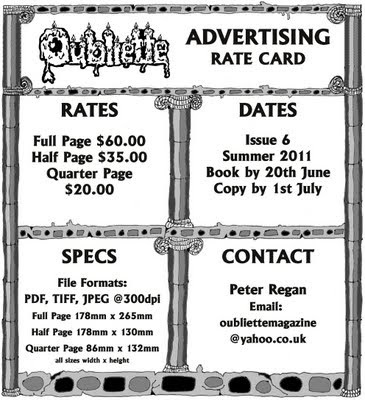 The rate card below provides all the basic information for booking an advert in Oubliette Issue 6. 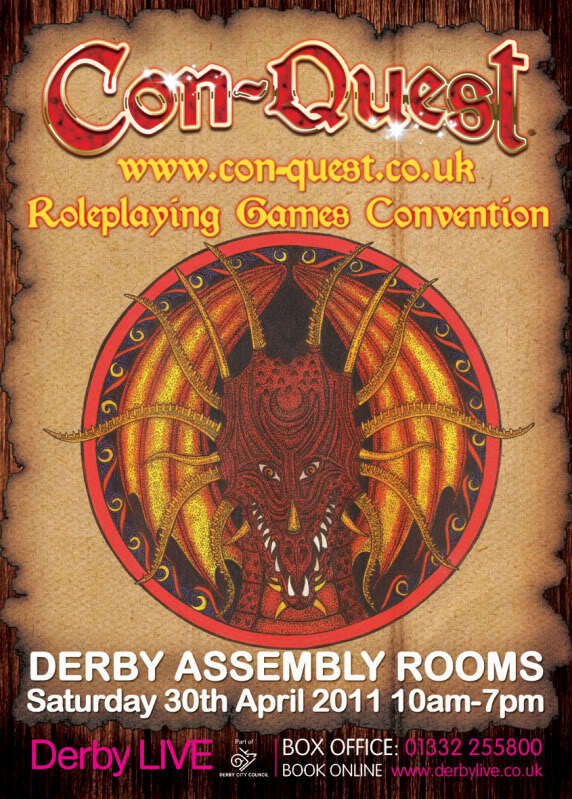 Adverts will all be black and white in both the PDF and printed editions. Any adverts included will automatically appear in any future printed compilation of whole issues at no extra cost. Apparitions appear as translucent, skeletal creatures dressed in tattered rags. Their eyes burn with a crimson light. Apparitions are undead spirits of creatures that died as the result of an accident. The twist of fate that ended their life prematurely has driven them totally and completely to the side of evil. 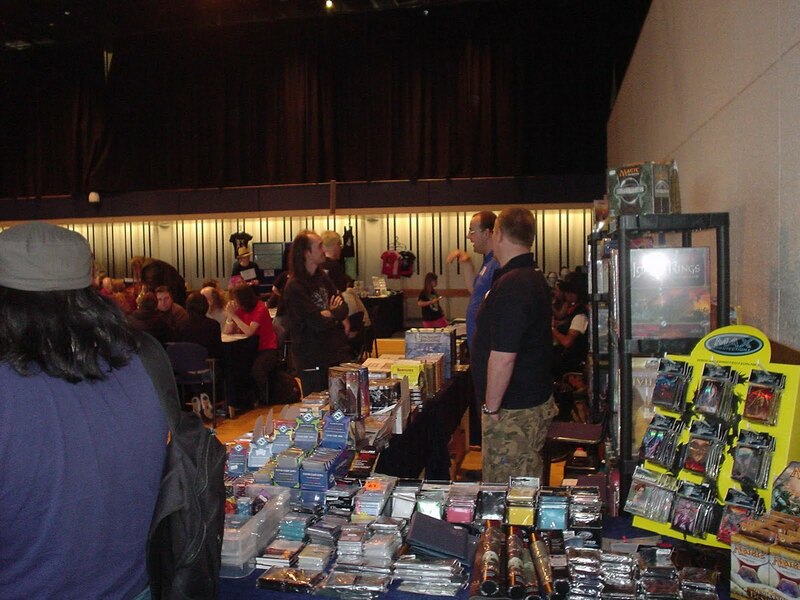 An apparition is often mistaken for a ghost or spectre. Apparitions hate all living creatures and attack them on sight. 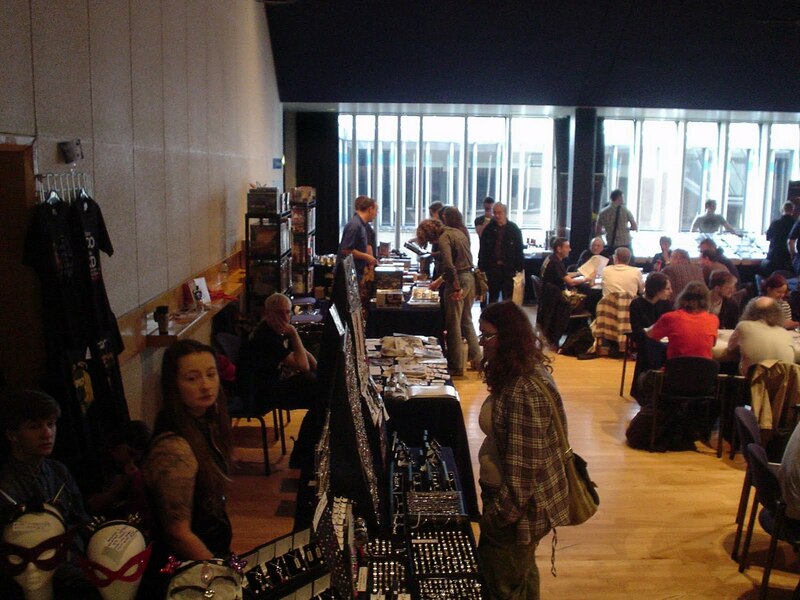 Apparitions are essentially ethereal creatures. They exist mainly on the ethereal plane but can project their image onto the material plane. An ability akin to E.S.P. enables them to detect potential victims up to 100 feet away. An apparition attacks by fear, implanting a suggestion in a victim’s mind that it is being strangled by the apparition’s bony claws. No to hit roll is required, and the apparition phases on to the material plane for one round per attack it makes. This is the only time the apparition may be struck and only magical or silver weapons will affect it. 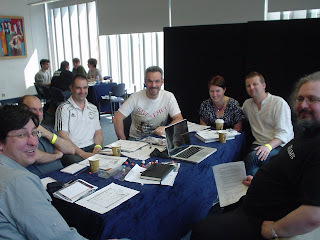 Victims must make a roll under their intelligence scores on 3d6 to resist an apparition's suggestions. If they succeed, they are immune. If they fail, then they are stricken with terror. Next, they must roll 3d6 against their constitution. If they roll under their constitution score, then they flee in terror for 1d4 rounds. If the roll equals or exceeds their constitution, then they suffer a major seizure and die instantly. Any humanoid slain by an apparition becomes an apparition after 2d4 hours. Victims may be raised from the dead, but only if the attempt to do so is made within one hour of their passing. Apparitions are powerless in sunlight and will flee from it. They will also be reluctant to approach mirrors or objects made of silver. 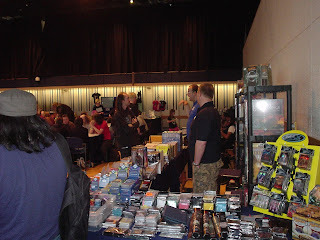 I had a great day at Con-Quest on Saturday. Con-Quest is a single day RPG con held at the Assembly Rooms in Derby (UK). 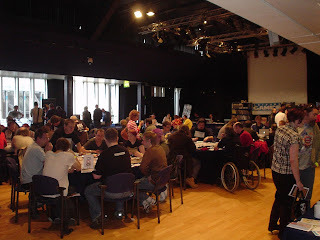 The venue was very good, and the organisers did a great job: the main hall had traders set up on the periphery of the room and demo games running in the centre, the other rooms were divided into separate gaming stations using free standing office partitions, enabling several different style rpg games to run concurrently and without interruption. 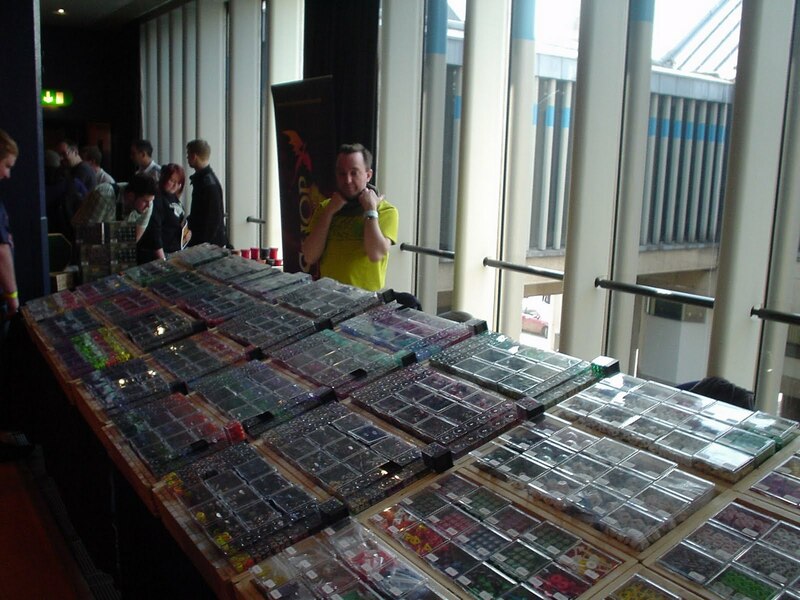 Forty games were organised into morning and afternoon sessions, and they covered a wide range of systems and settings including: Pathfinder, Traveller, D&D, Savage Worlds, Realms of Cthulhu, and loads more. 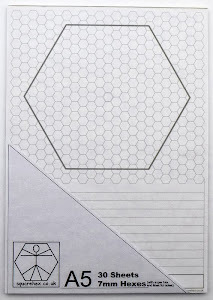 I played in John Wilson's morning game of Labyrinth Lord, The Body in Question. Our party (all goblins) went on a mission into the big city for their master. It was really funny game, with some of the goblins getting a little over excited (eg. our attempt to avoid the town guards by hiding in an alley met with chaos when one of the goblins, unable to contain themselves called out to the guard, another goblin tried to throw off the watch by pretending to be a human drunk and singing a drinking song which had all the hallmarks of actually working when another goblin found itself incapable of handling the tension and shot one of the guards with a crossbow). 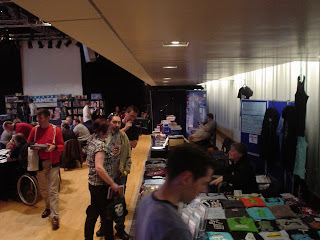 Here's some pictures of the show. The last one is of me and my fellow goblin players.